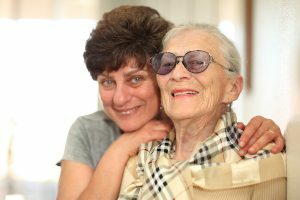 By Dr. Nanette J. Davis, Ph.D.
Caregiving has often been compared to a roller coaster ride, with its inevitable ups and downs. This is especially true as your loved one deteriorates and faces the end of life. If you’re one of the 65 million family caregivers who has been feeling overwhelmed for too long, “burnout” may have set in. These unwanted reactions can also be compounded by the guilt and shame about feeling this way. Here are a few suggestions that might make a big difference. Make a point to engage in outside activities for maintaining a sense of health and well-being. Sure, it could feel like “one more thing” to do. But if you choose your outside activities wisely—staying away from demanding people or events—you could feel surprisingly refreshed. Seek and accept outside help. Once you admit to yourself and others that you can’t do it alone, the burden suddenly lifts. Good starting points are: local organizations, social service agencies and faith communities. Don’t overlook family, friends and neighbors who may be able to lend a hand. Allow your loved one plenty of opportunities to practice functional skills—as hard as it may be. Feeling as independent as possible satisfies a basic human need, even for a seriously ill person. Consult with a geriatric specialist, pastor or counselor about the right course of action if your loved one has become overly dependent or has exhausted your resources—physical, emotional or financial. Admit that you are juggling multiple roles, and engaging in an ever-so-delicate dance of support. The dance can go on as long as you allow the role of who leads and who follows to shift as circumstances change. Pay attention to your own needs. You can achieve balance when you include time to sleep, exercise, eat and attend to your own medical needs. Time spent with family, friends or just being alone helps you bounce back, too. Practice saying—maybe even forcefully—“no” when appropriate, and “yes” when someone offers to help. Seek out quality respite care. Enjoy an occasional movie or lunch with a supportive friend. Don’t expect too much from yourself. Continue to recognize, acknowledge and accept your difficult emotions, so you can then work on setting boundaries, letting go of control and developing coping skills. For example, meditation and yoga can be incredibly relaxing. Your commitment to your loved one can be a renewable resource if you take the right steps and are willing to change strategies when the “same ol’, same ol’” isn’t working anymore.